This property in Butterfield Woods Subdivision is a fabulous opportunity to build right along the first hole of White Lake Golf Course. This is a buildable wooded lot with many mature trees. 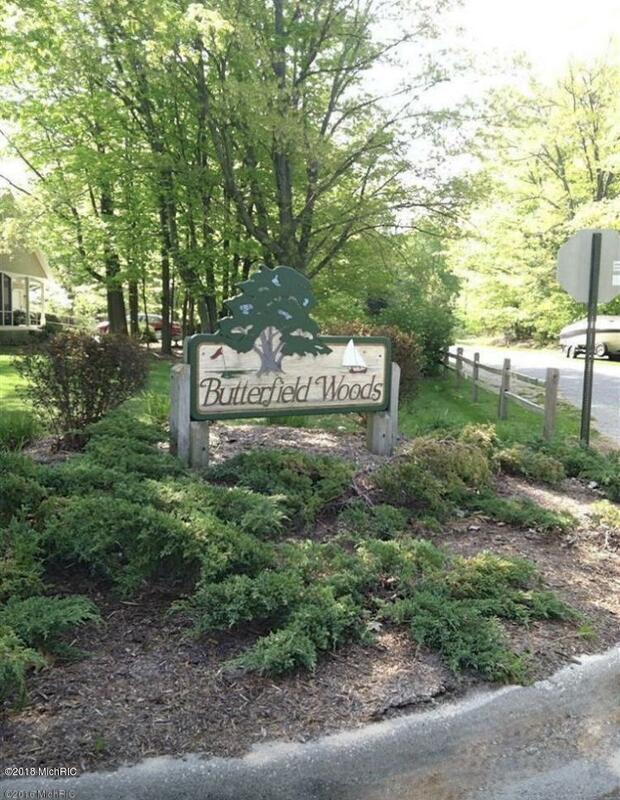 Butterfield Woods is one of the most desired neighborhoods in Whitehall. You would be within walking distance to the White Lake Golf Course and the White Lake Yacht Club. You will be less than 1 mile from Lake Michigan. The association also has a private dock and beach. This property will not last long. Sale is for lot 26. Lots 25 and 26 are in the process of being split back as originally designed. Buyer to verify all listed information.